I'm on vacation so I can post early today. Another scorching hot day in June today. Hope you stay cool. Here's an image with a lot of cool green. 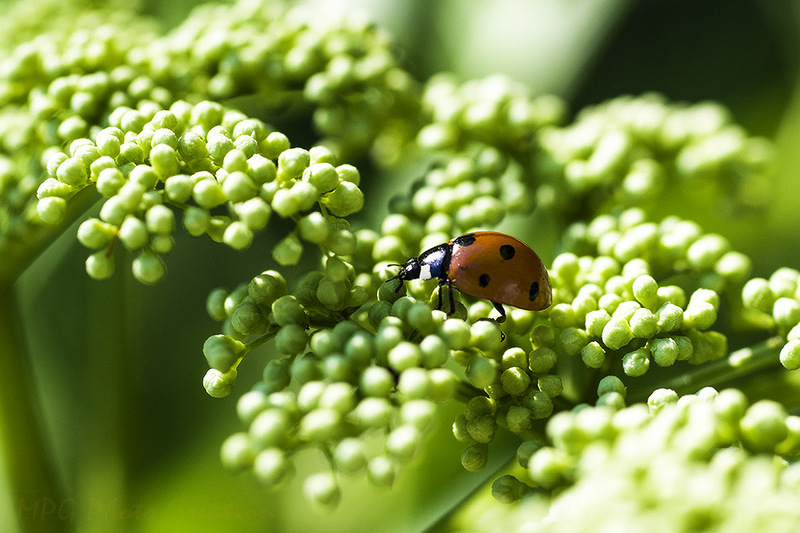 I captured this Ladybug wandering around the Elderberry blooms the other day. This one was not fully open as you can see. I have been lucky to see more of these than usual this year. Not many butterflies yet which makes me very sad.